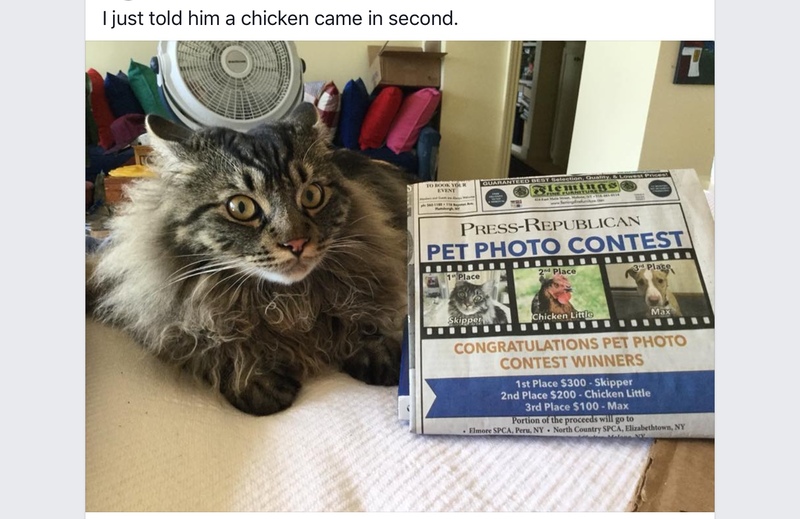 My cat Skipper won a local beauty contest. When I told him he was almost trounced by a chicken, he was incredulous. Now he’s afraid the sky is falling. Their efforts paid off and Dasha grew into a curios [sic] and healthy kitten. 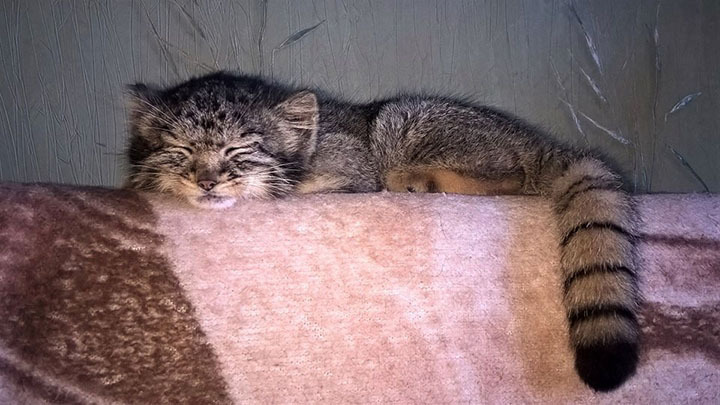 ‘In the middle of June she went outside for the first time, and immediately ran back inside, to her humans, because she got too scared’, said Vadim Kirilyuk, the reserve’s director. 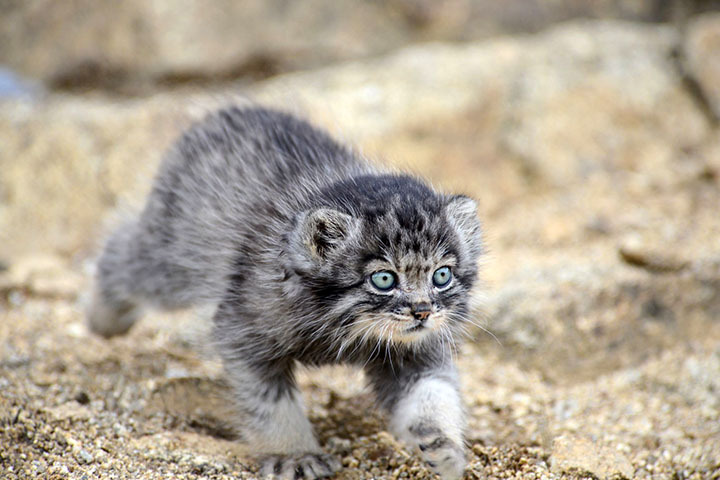 Vadim [Kirilyuk, director of the reserve], who has been documenting Dasha’s progress from day one, said: ‘After three months of constant care and worries the day has come to say that young female Pallas’s cat Dasha will be free, but still supervised. 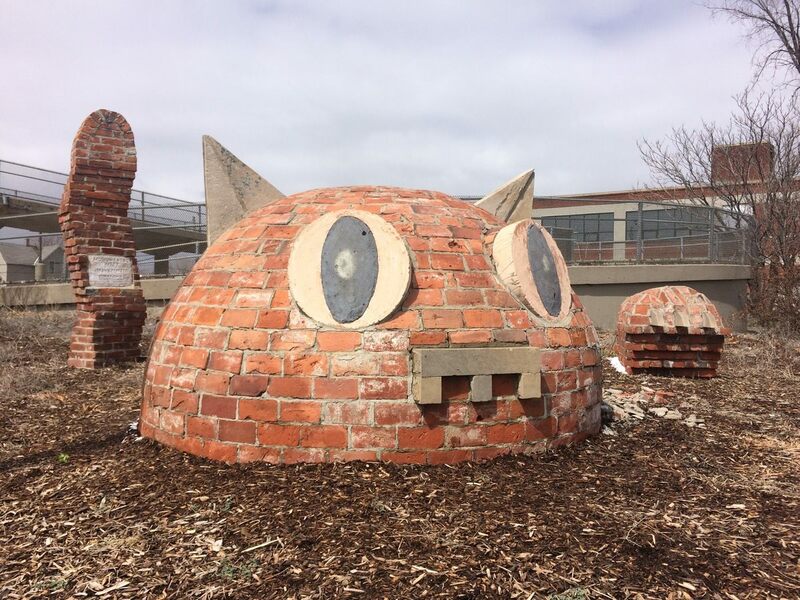 Wide-eyed and perky-eared, the brick sculpture known as Monumental Kitty has been charming drivers since 2010. It was installed by the local artist Jerome Ferretti, who once earned his stripes as a journeyman bricklayer before venturing into fine arts. The cat was intended to enliven an otherwise ho-hum stretch at the edge of the Corktown neighborhood. 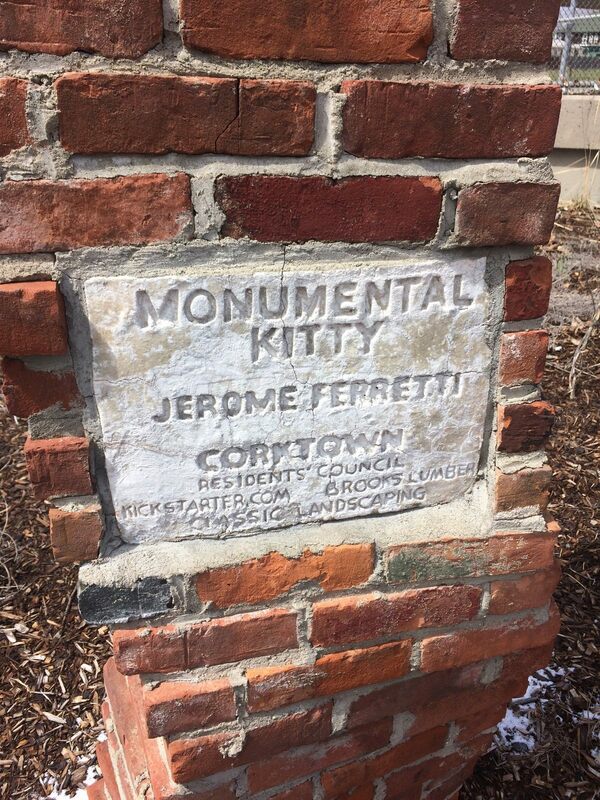 Convinced that the overlooked median could use a little love, local residents enlisted Ferretti and crowdfunded the money to bring the kitty to life. Passersby sometimes pull over and scramble to stand on the cat’s domed head. Out of the ground rise a tail and a paw, the latter outfitted with nails made from strips of stone. 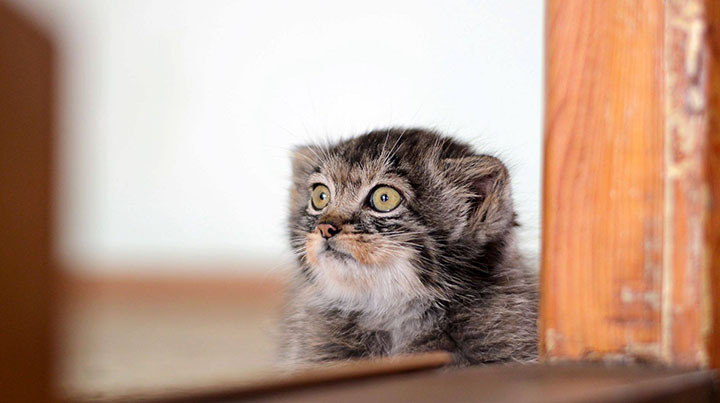 This entry was written by whyevolutionistrue and posted on September 15, 2018 at 10:30 am and filed under Caturday felids. Bookmark the permalink. Follow any comments here with the RSS feed for this post. Both comments and trackbacks are currently closed. Truly a trifecta today! Love ’em all. Congratulations Deb. Your kitty is very cute! 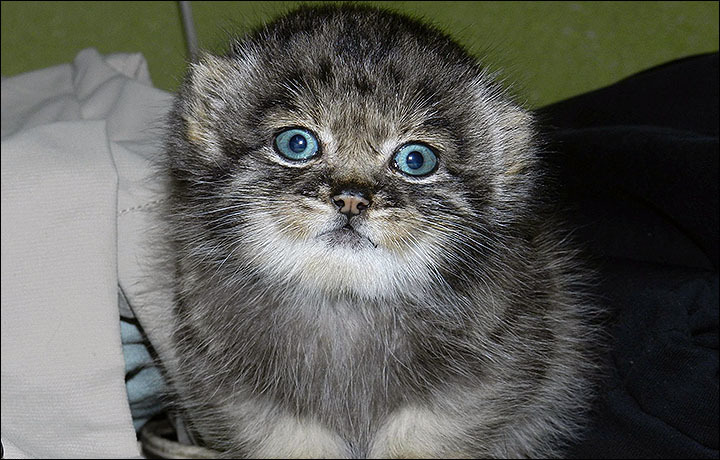 And that Pallas Cat kitten is sooooo adorable. I can’t get enough of him. Why the eye-color change? Interesting. Skipper is a beautiful cat…love the name too! All kittens have blue eyes. I asked Mrs. Google & it’s because that’s the reflected colour of the outside layers & later on the the pigment responsible for the permanent eye colour is deposited [whatever that means – it’s all very ‘hand wavey’ on the internetz]. Mrs. Google also says adult cats with blue eyes often/always[?] have hearing problems. Thanks to you and Mrs. Google for the added info. Somehow I always thought those manuls were bigger, like a lynx. Now I realise they’re tiny. I bet that Prof. Coyne would want the custody of Dasha.